Learn more at Advanced Bionics! Canada Health has approved the SONNET 2 and SONNET 2 EAS processors for MED-EL. Stay tuned for more information as it becomes available! 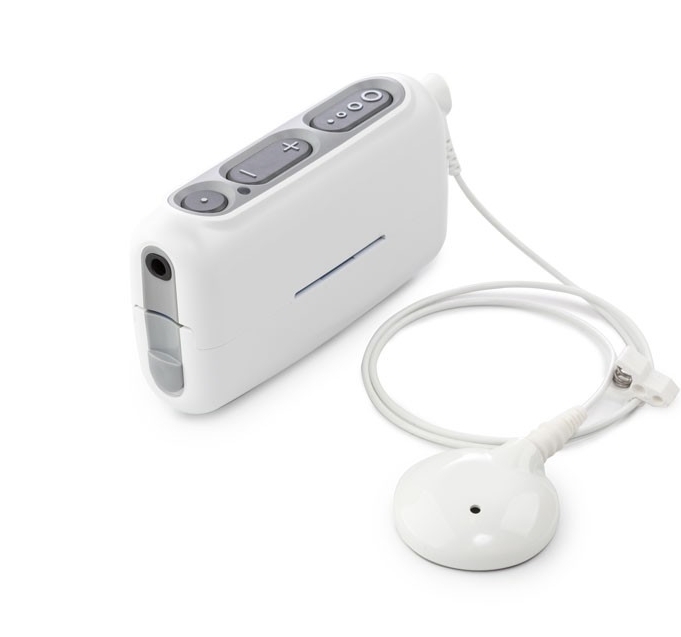 MED-EL announced today the US Food and Drug Administration (FDA) approval of the RONDO 2 cochlear implant audio processor. Just place the RONDO 2 on the charge pad and it will charge automatically without wires or cables. The rechargeable battery provides up to 18 hours of battery life, and recharges after four hours. Product availability is estimated in Fall 2018. For more information, read the press release here. MED-EL is offering new US recipients a voucher for a free RONDO 2, which can be exchanged for the processor when it becomes available, estimated Fall 2018. After using my Resound MultiMic, I realized what a difference remote microphones could make. I wanted to use multiple microphones at once in several different situations, and found that the Phonak Roger system could do that. 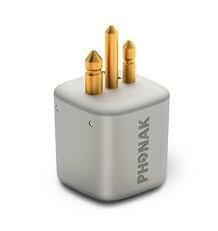 I started looking into Phonak Roger and trying several different components. I found that getting information on what was available was a little difficult, so I wanted to put a quick reference out for anyone else who may need it. The information below comes from my own research, so if you find something that is incorrect please let me know. Many people confuse Phonak Roger with the older FM systems, but Roger is actually completely new technology. Older FM systems transmitted an analog signal on FM frequencies (72.025 to 75.975 MHz and 216 to 217 MHz), and only transmitted on one channel at a time making it prone to interference, range problems, and eavesdropping. Phonak Roger transmits at 2.4GHz (ISM band) using digital transmission and frequency hopping technology to decrease dead spots, improve sound quality, and secure the transmission. For more information on the Phonak Roger wireless technology, click this link. With most of the microphones below, you can link multiple devices together, and even mix and match microphones (like a Roger Pen and 2 clip-on mics). There are some limitations to this. For example, when you have multiple Roger Pens linked, only one can be in conference mode, and the rest can be in neck-worn mode. When the microphones are linked, they do not all transmit at once. The microphone that picks up speech first will transmit until it no longer hears speech. At that point the system will switch to the next microphone that detects speech. The Phonak Roger Pen has three different microphone operating modes. Conference mode (when laying on a table), Interview mode (when held at an angle), and neck-worn. The Roger Pen can automatically switch microphone modes based on its position, or you can manually select the mode. In Conference mode it will pick up audio from all around. In Interview mode the microphone will become directional and pick up the voice of whoever it is pointing at, while blocking out noise from around the pen. In neck-worn mode it will become highly directional with a shorter pick-up range in order to just pick up whoever is talking directly above it. The Roger pen also has Bluetooth connectivity for connecting to cellular phones and other Bluetooth devices. Using an included cable, you can also connect the Roger Pen to other audio sources like a TV or headphone jack on a computer. The Roger EasyPen has the same three microphone modes as the Roger Pen. With the Roger EasyPen you cannot manually select the microphone modes, and it does not have Bluetooth. Like the RogerPen, the Roger EasyPen can be connected to an audio source using a cable. The roger clip-on mic is made to be worn clipped to a shirt or lanyard. It picks up speech from directly above it. 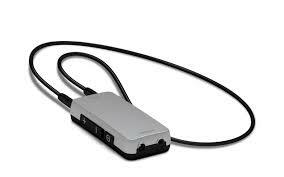 The Clip-On Mic can also be used to stream audio from another source using the included cable. The Roger Table Mic is specifically designed to be used in meetings. It picks up audio from all around while filtering out background noise like projector fans, coughs, etc… For large meetings (15+) people, you can use multiple Table Mics to pick up sound from all around the room. The Table Mic can also be connected to other audio sources, and has a remote control that can be used to mute/un-mute the microphone. The Roger Touchscreen Mic and Roger Pass-around are geared for educational use. The Roger Touchscreen Mic is worn by a teacher and the Pass-around is passed to other students to allow them to talk on the system as well. Multiple Touchscreen Mics and Pass-arounds can be used together in a network. The Touchscreen Mic and Pass-around only work with the newer Roger receivers, they are not backwards compatible to older FM systems. The Roger Inspiro and Roger DynaMic are also geared toward educational use and have similar functionality as the Roger Touchscreen Mic and Roger Pass-around. The Inspiro and DynaMic will work with Phonak Roger and older FM systems. The Phonak Roger system has several different receivers that enable the system to be used with almost any hearing aid, Bone Anchored Hearing Aid (BAHA), or cochlear implant. 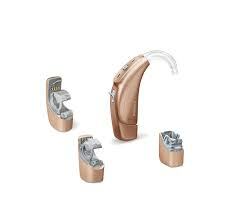 The design integrated receivers are made to blend in with the design of Phonak hearing aids as well as some Cochlear implants from Cochlear and Advanced Bionics. The design integrated receivers will work with the full line of Roger microphones including the Touchscreen Mic and Inspiro. 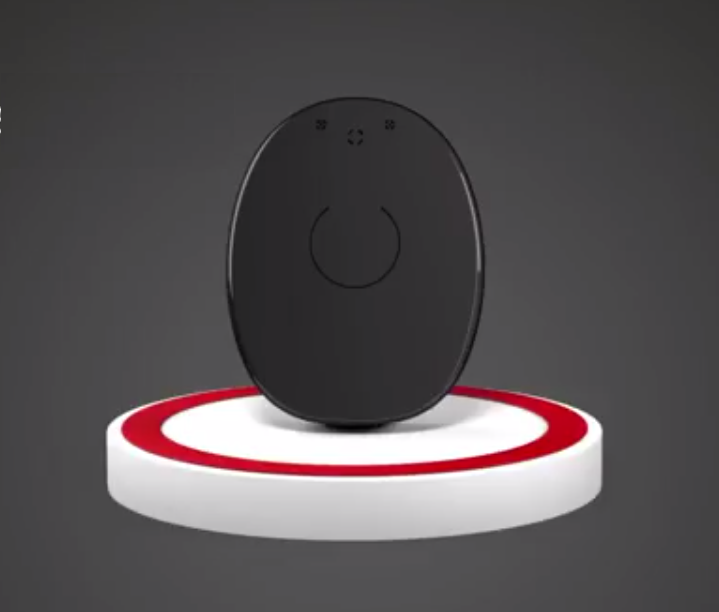 The Roger X receiver uses a Direct Audio Input connection (DAI, a.k.a Europlug) and can be used on many hearing aids (with a DAI boot), cochlear implants, and neck-worn streamers such as the Phonak ComPilot. The Roger X comes in two different versions. One is a lower cost type 3 (03) that works with the Roger Pen, EasyPen, Clip-On Mic, and Table Mic. The other is the type 2 (02) which costs a little more, but adds support for the educational based mics (TouchScreen and Inspiro), as well as some settings that can be made using the Inspiro, and compatibility with more Roger devices. For more information on the differences between the 02 and 03 Roger X receivers, click this link. The Roger MyLink is a neck-worn streamer that works with hearing aids that contain a TeleCoil (T-Coil). The Mylink also has a standard 3.5mm headphone jack that allows it to be plugged in to other devices like sound systems, or hearing aid streamers with a 3.5mm input. The Roger Focus is a behind-the-ear receiver made for people with normal hearing, but that have attention related issues. It is intended to limit distractions by bringing the teacher’s voice directly in to the persons ear to help with focus and understanding. The Roger Focus is not a hearing aid, it is simply a receiver for Roger microphones. I have been a hearing aid user for over 20 years, since receiving my first aid at age 20. As my hearing loss has progressed, I’ve come to rely on various Assistive Listening Devices. My career in IT requires many fast paced meetings. Without remote mics I wouldn’t be able to keep up and contribute. In January of 2018 I was approved for a cochlear implant, and look forward to the next phase of my journey. I hope to not need wireless microphones once I get adjusted to hearing with a CI, but it’s nice to have them available if needed. Allan lives in Illinois with his wife and 4 kids. Advanced Bionics announces approval in the US and Canada for the Naída CI Q90 Acoustic Earhook. The Acoustic Earhook can be added to a Naída CI Q90 processor to provide additional low-frequency information. If residual hearing decreases to the point where the acoustic information is no longer useful, the Acoustic Earhook can be swapped out for Advanced Bionics T-mic. The United States FDA has approved a telehealth option to program cochlear implants remotely. This means that recipients who live in remote areas, or are unable to travel to their cochlear implant clinic, may be able to conduct an audiologist visit from home. Read the FDA announcement here. This is just the FDA approval. Availability depends on Cochlear – stay tuned!